“My name is Juliet Nalumu and I am a vegetable trader. I started selling eggplants and a few vegetables two years ago in a roadside market. I also attempted to sell charcoal, but made very little profit. I heard about BRAC’s ELA programme from one of my friends. When I visited one of the clubs to see it activities, I immediately wanted to become a member. After joining, I got life skills education on reproductive health and family planning, and livelihood training. 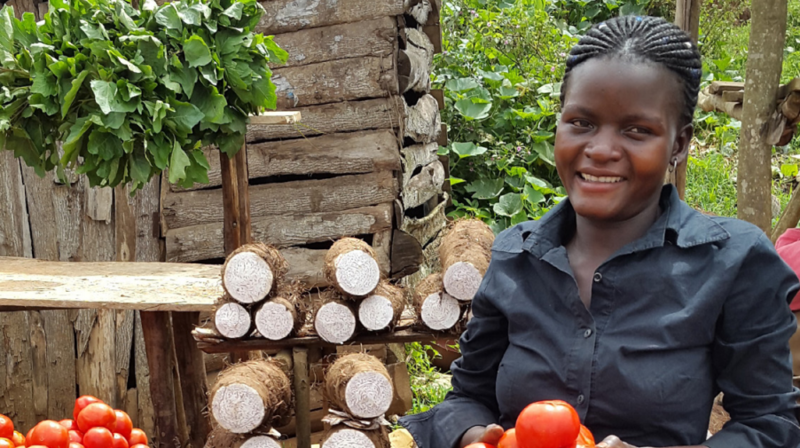 To launch my vegetable business, I applied for an ELA micro-loan of UGX 300,000 (USD £78). Since then, my business has raised a capital of UGX 1million (£198). The livelihood and financial literacy training helped me grow my business, and improve my savings, budgeting and customers service. I believe customer service is very important. I was selected as a cashier at an ELA microfinance group, which I enjoy doing. Doing this along with my own business has helped me to become more confident.